A large, slender, marine fish, it is found along the east coast of North America. The head and back of this fish are dark brown in color with a greenish tinge. The sides have a faint silvery hue with dusky specks, and the belly is white. The origin of its name is based on the weakness of the mouth muscles, which often cause a hook to tear free, allowing the fish to escape. 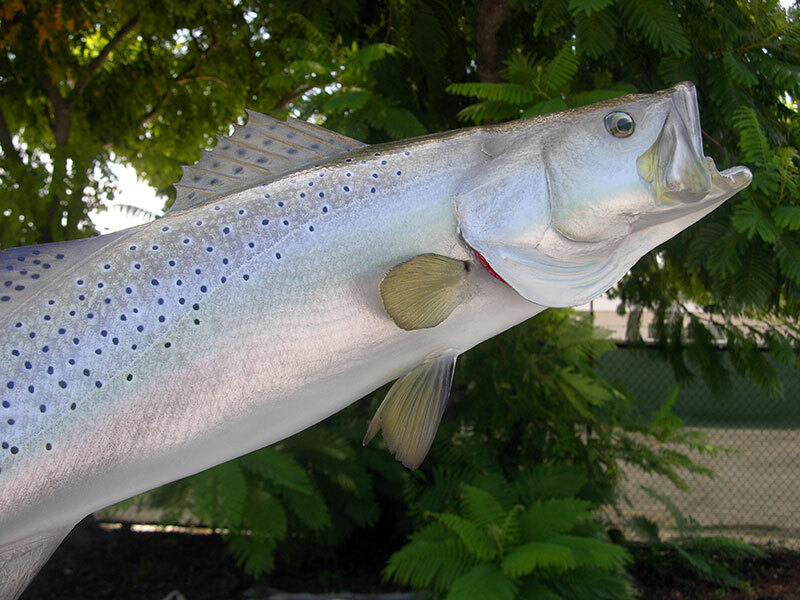 The weakfish grows to 3 feet (1 m) in length and 20 pounds (9 kg) in weight. It is found along the eastern coast of North America from Nova Scotia, Canada to northern Florida, where it is fished both commercially and recreationally. In the mid-Atlantic states, the fish is sometimes referred to by the name sea trout, though it is not related to the fishes properly called trout, which are in the family Salmonidae.